When it comes to commercial microwaves in Canada, Celcook has a variety of options to suit every commercial kitchen’s needs! 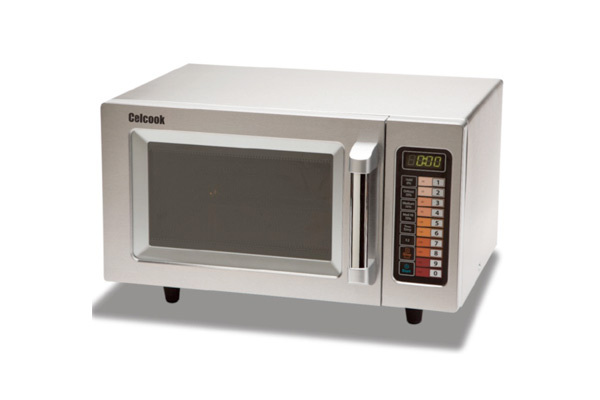 Celcook’s 1000-watt commercial microwave ovens cover a wide range of food warming and reheating needs. 1.2 cu. ft., 1000 watts, very quiet operation, excellent cooking results, 5 power levels. No matter your business environment, you’ll hardly hear our food warming equipment when it’s operating. Powerful but conservative, these commercial microwave ovens offer high heat but low energy usage. Commercial ovens in Canada are an easy way to provide your guests with a variety of food offerings, as you can heat or cook almost any type of food in these units. Whether your commercial microwave will be for staff-use or will be available for guests to use and re-heat their food - simplicity and convenient operation are ‘must-haves’. Celcook ovens are designed for maximum ease of use. Celcook commercial microwaves boast stainless steel construction for visual appeal and durability. Celcook is committed to customer satisfaction. We promise that your new food warming equipment will support the success of your professional kitchen. 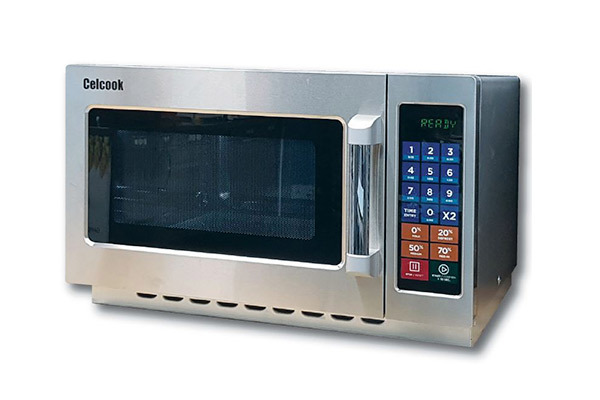 To find the perfect commercial microwave oven for your kitchen’s needs, contact Celcook today.